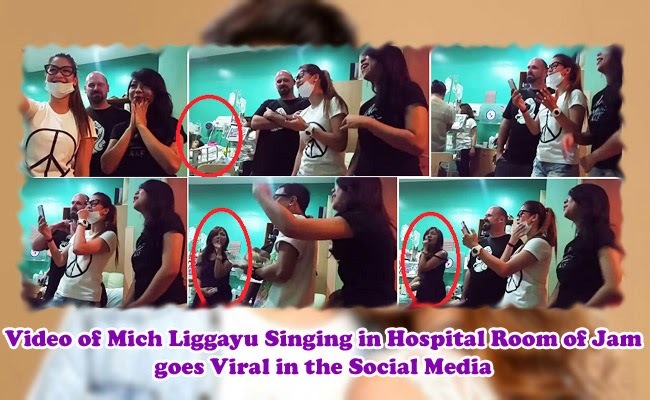 Another video had been posted involving Jam Sebastian’s girlfriend and this time it is the uncut version of the previous one showing Michelle Liggayu and her friends singing in Jam’s hospital room. The video had been posted on JaMich’s Facebook page to clarify the issue. On Tuesday, March 31, 2015, a video had been posted showing Mich singing ‘She will Be Loved’ with her friends. A couple of hands holding phones were shown recording the video in different angles and at one point, Maricar Sebastian, Jam’s mother was shown asking the group to keep their voices lower. David Rodney posted the whole video to show the truth behind it. They wanted to cheer Jam even though he is fighting his illness. He shared that Mrs. Sebastian asked them to keep their voices down was because they are conducting an interview with the Kapamilya Network’s The Buzz. He also added that Jam moved in the music and the rest of the people jammed in the song, not only Mich and her friends. Rodney also clarified that many others were taking the video. The reason someone posted a cut one clip to make an issue about it is to gain attention. He also said that the couple had been taking videos of their lives and share them to their fans, there was no reason to change it. Various issues om Mich Liggayu had surfaced after Jam had passed away. The couple was known as YouTube sensation JaMich.